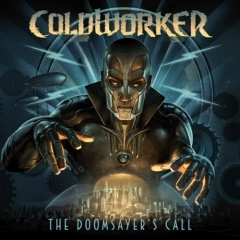 Coldworker is a name any death metal fan will be familiar with because they have long been considered to be at the very forefront of the evolution of the genre. They have long since abandoned the standard serpentine-riff and blast-beat oblivion based approach to the style (although it persists to some extent), instead offering an interpretation that's based on the chaotic murder-your-instruments type of expression as offered by many grindcore bands. They've also understood that playing grindcore only takes you so far, and thus, a hybrid sound that takes the best of both worlds was born. "The Doomsayer's Call" is their third attempt of such hellish chaos, and arguably their best and most interesting produce yet. 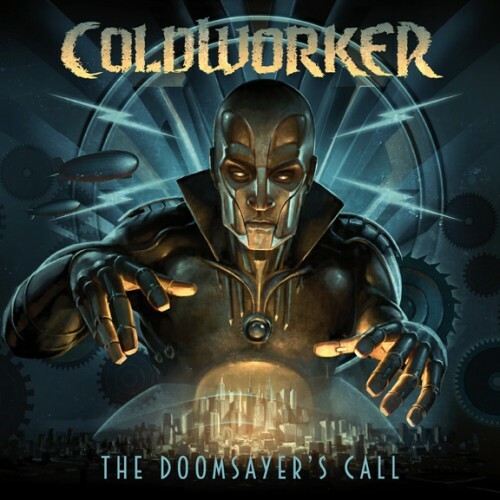 The temptation of going all-out in either genre has almost certainly been there, but Coldworker successfully resist the urge of going into death metal clichés or a too discordant / unorganized structure as found on many grindcore releases. The guitars rip and shred like death metal, but aren't afraid to floor the pedal into manic passages of instrumental punishment at precisely the right moments. The blast beat-oriented drumming, too, offers some room for texture and more varied execution. One thing that is missing, however, is melody. This ain't no melodeath album, this is pure, gutturally-growled death metal, characterized by a vicious delivery and a mean rhythm section. And though the band lives up to the death metal fans' expectations in this aspect, it also means they fail to fully capitalize on their otherwise innovative expression by taking it even further. Instead of injecting a tiny bit of melody, the band reduces their overall impact regrettably by sounding not too different from your everyday death metal / grindcore band. Sure, they are different already because they combine the genres in a way not many have successfully done in the past, but not different enough to warrant a higher rating. 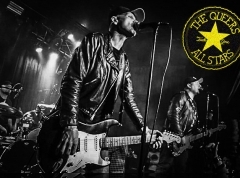 Decent, but lacking the final ingredient to push the band into end-of-year lists come December.